UPMC Health Plan members will get 50 percent off* the cost of up to four general admission tickets to Phipps Conservatory and Botanical Gardens on Saturday, April 27! Purchase used spring flower bulbs from 9:30 to 11:30 a.m.
Tour the Phipps Nature Lab and Observational Beehive from 11 a.m. to 3 p.m. Participate in a Native Spring Perennials demonstration in the Palm Circle from 1:30 to 2:30 p.m.
Make healthy smoothies at Phipps’ newly renovated Botany Hall Kitchen from 1:30 to 3:30 p.m. Snap a photo at Let’s Move Pittsburgh’s 5-2-1-0 photo booth. Be surrounded by the soft, fluttering wings of delightful butterflies in Phipps’ Butterfly Forest. Pick up health and wellness resources at one of several UPMC Health Plan booths. Play fun games with Phipps staff in the Center for Sustainable Landscapes building. Create colorful, one-of-a-kind sand artwork at the outdoor station located adjacent to Tropical Forest Cuba. Receive free giveaways and more! Phipps Conservatory & Botanical Gardens is open from 9:30 a.m. to 5 p.m. Free public parking is available in the median on Schenley Drive. On-street parking is available on the streets surrounding Phipps and in Oakland for a fee. Click here for more information. 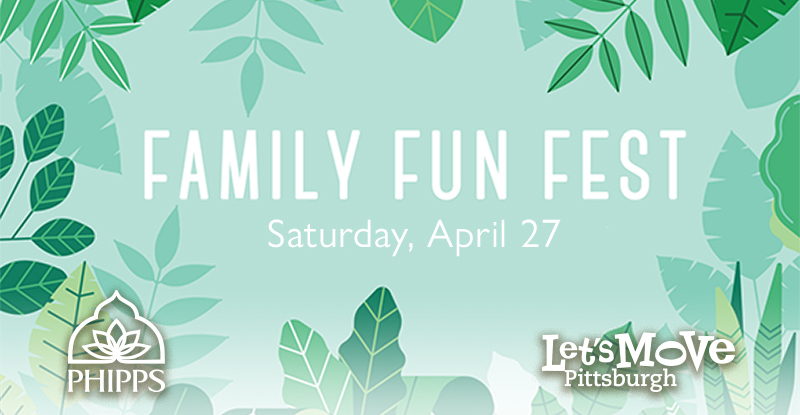 This event is a part of UPMC MyHealth Community, an initiative of UPMC Health Plan that supports public programs to help families and individuals achieve a healthy, well-rounded lifestyle. *Regular admission fees apply. UPMC Health Plan commercial group and Health Insurance Marketplace members are eligible for this offer. Members must show their member ID card at the admissions desk to receive the discount. Ticket availability is subject to venue capacity. **Activities and times subject to change without notice. Preventive Care: What’s included in your health insurance plan?